Liberland will provide an exciting and new economic model. Today is one of the most challenging environments that banks have ever seen. It is arguably more challenging than either the Global Financial Crisis of 2008-09 or even the Great Depression of the 1930s. Those events were financial failures of the first order, caused by rapidly developing systematic breakdowns. The problems came from within. Today’s challenge is more fundamental and it threatens banking as we know it. This time it comes from outside and it comes in the form of FinTechs. FinTechs are not just financial IT companies, they offer services that compete with various pieces of the banks’ businesses. The FinTech providers operate faster, more easily and more cheaply than the banks. They are taking advantage of the lack of digitalization in banks – which is mainly due to the maintenance of legacy systems from the past several decades. These legacy systems are eating up over two thirds of the banks’ IT budgets and resources and, in most cases, it is the old legacy systems that underpin the operation of the entire bank. This inhibits the banks from investing and building new digitalized solutions which would allow them to compete. Across the developed world as a whole, this has retarded innovation. In the meantime, there has been a huge amount of innovation in the least developed countries, where there has not been any legacy infrastructure to worry about. The paradoxical result is that many financial institutions in the least developed countries are, in terms of their technology, more advanced than their counterparts in the rich world. One of the best known examples of this, among many others, is MPesa in Africa. The company has made it possible for people to make payments to each other over a simple mobile phone. It is not even necessary to use a smartphone. MPesa was possible because there was no legacy payments infrastructure to support and there were no obstacles to the adoption of cutting edge technology. In some important ways, Liberland is like the countries in Africa where MPesa has been adopted. The world’s newest country, Liberland is a place where an entire financial system can be developed from scratch with the best technology that is available globally. Liberland will have the world’s most modern and enlightened system of government and it will be free of the mistakes and constraints that have held back other countries. Liberland’s respect for personal freedoms will be reflected in its financial system. 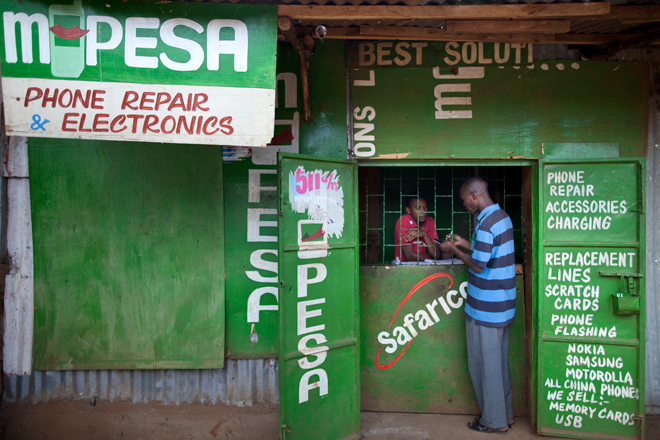 In developing nations, companies like M-Pesa are leading the way in money transfer. The financial system of Liberland will not be about dictating personal behavior nor will it be about regulating people out of business. Instead, it will provide an environment that will encourage the natural development of the market. The standard model of a financial system is based on government-controlled central banks and regulatory authorities, a model that has not changed for decades. Liberland represents an exciting new model, one that other governments should consider. So, what are the principal components of Liberland’s financial system? In today’s world, everything in the financial community starts with compliance. This is the new foundation that protects and provides the confidence in the financial system. Much more importantly, it should prevent any form of illegal or questionable activates. In most places, compliance depends on the operation of legacy systems that were built decades ago. Liberland, by contrast, is building a compliance system from the ground up. This will be done through a partnership with World KYC, in order to properly review and store the needed documentation for selective sharing. Compliance will exceed global standards. There will be a zero tolerance policy for illegal activities and funding in Liberland. Building a financial system from the bottom up demands a digital footprint and, more importantly, digital functionality. Liberland will offer to all participants instant payment functionality. It will not matter whether the participants’ business models are P2P, B2B, P2B or B2P. By providing this functionality, Liberland will be a neutral place for settlement of trade. It will give all players an equal footing and it will mean faster settlements and delivery of funds to payees globally. Payers will enjoy reduced costs and delivery times, which will increase the velocity of commerce. The increase in the speed of commerce will make Liberland a business friendly environment that provides a lower cost for enterprises to transact within. In addition to increasing the speed of business, this platform will enable the personal remittances across borders to be faster without the high cost of fees by percentage of value remitted. In other words, it will reduce the burden of excessive fees on those who can least afford them: people on low incomes. The priority for Liberland is to facilitate trade on a global basis. It is a key tenet of the financial system to enable participants to do their business, their way, on their terms within a structure of compliance and security. In order to meet this objective, commerce will follow the global standards used and accepted today worldwide. Close adherence to the International Chamber of Commerce standards are mandatory. The ICC rules of trade, UCP-600, URDG-753, ISP-98, Incoterms 2010, etc. will be legally enforceable within Liberland. Additionally, Liberland will respect the major trade pacts made between other countries, both regionally and around the world. With this structure in place, people and businesses can have confidence in the legal system, and the government of Liberland. In short, Liberland will be supported by the rule of law. The financial system will have other advantages, such as a tax system that is based on voluntary contributions from citizens and corporations. This speaks directly to the government’s goal of encouraging commerce and not burdening the rights of people and businesses. Liberland will be a place of tax free settlement for personal and business transactions. This will further promote the cause of true libertarianism. Liberland has a luxury in that its financial system can be built with the latest technology, the most advanced functionality and the most exciting features. This is a luxury that is not available to long-established governments and legacy banks. Therefore, technology will be needed to link the digital system of Liberland with the legacy systems elsewhere. Technology will have to provide bridges to SWIFT, SEPA, CHIPS, ACH and the many other banking solutions that are needed to make commerce seamless. These bridges will boost recognition of Liberland as an ideal centre for commerce, protection of individuals’ rights and wealth, and tax neutrality. Ultimately, Liberland should be seen as a model for the rest of the world. It will be a model that boosts individual rights and financial freedom. It will promote trust – which is essential for the interaction between people, businesses, countries and economies worldwide. As Liberland’s official motto proclaims, it will be a place where people ‘live and let live’. This article was written by Herve Lacorne and and published to the Liberland Press with permission from the author. Next PostHow Should Liberland Deal with Drugs?